I have two bird feeders on my patio that I fill with black oil sunflower seeds—which cardinals love! I based this project on the female cardinal, who is not quite as showy as her bright red mate, but just as beautiful. 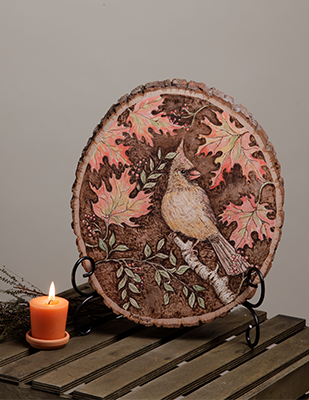 This autumn wood burning project features bright leaves and berries swirling gracefully around this feisty bird. 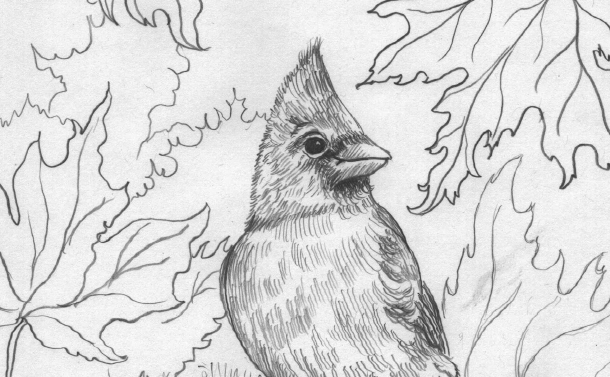 Download your free wood burning pattern of this adorable cardinal below. 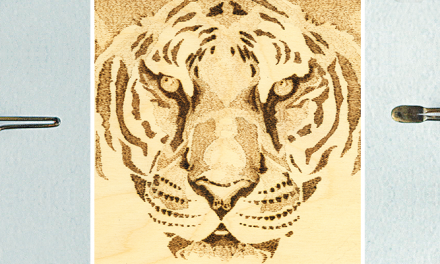 Join our mailing list to unlock your pattern and receive our pyrography updates and news. Before you start to burn, set up an exhaust fan near your work area to draw the smoke away from you. 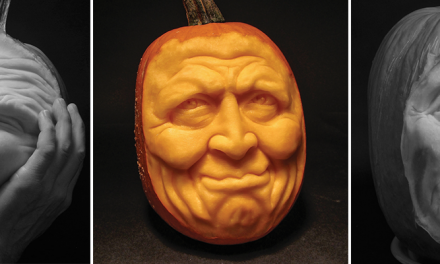 Sand the surface of the wood, photocopy the wood burning designs and transfer it onto the wood using graphite paper. Periodically, during the wood burning art session, clean your tips. For this pyrography project, you will need a shading nib, a writing nib, and a mini tight round nib. Sometimes I add a touch of color with artist-quality watercolor paints, but for a more old-fashioned look, you can leave the piece unpainted and brush on an oil finish. 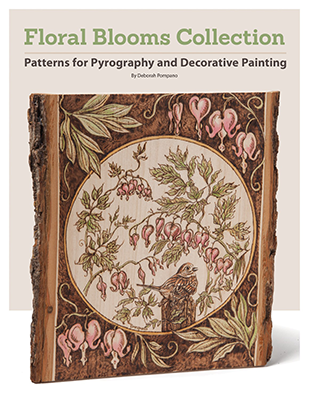 For more beautiful wood burning patterns by Deborah Pompano, check out her pyrography pattern booklets: Birds & Animal Landscapes Collection (The cardinal pattern is featured in this booklet. ), Majestic Animals Collection, Floral Blooms Collection. 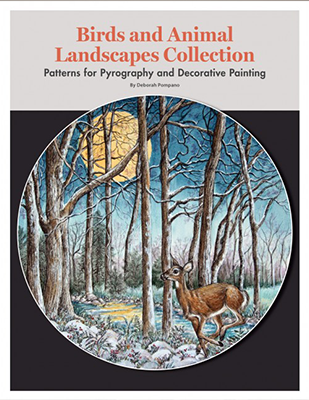 If you are a wood burning artist or a decorative painter – with a love of nature and animals, this collection will inspire you to create vibrant and attractive images. 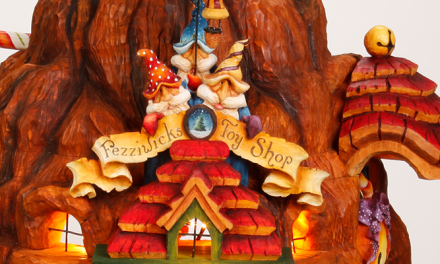 Deborah Pompano brings a lifetime of experience to her exquisite pyrographic projects. Birds and Animal Landscapes Collection offers eight of Deborah’s large ready-to-use designs. 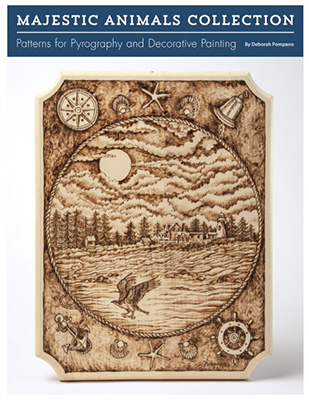 This booklet is one of three in her wood burning pattern book collection. Also, see the Majestic Animals Collection and the Floral Blooms Collection. 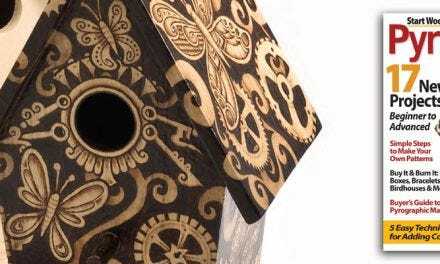 If you are an artist with wood burning pens and a love of nature and animals, this collection will inspire you to create vibrant and attractive images. 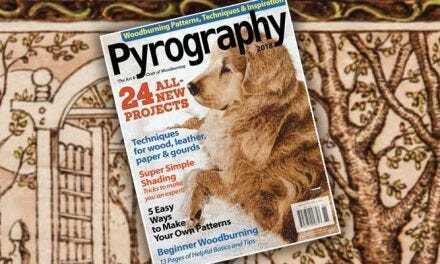 Deborah Pompano brings a lifetime of experience to her exquisite pyrography projects. Floral Blooms Collection offers eight of Deborah’s large ready-to-use designs, presented in both line and color tonal patterns. Inspired by the earth’s awakening in springtime, these dynamic wood burning stencils range from a rustic garden gate to young fawns in an April meadow, newly hatched baby swans going for their first swim, a kingfisher’s breakfast, and more. 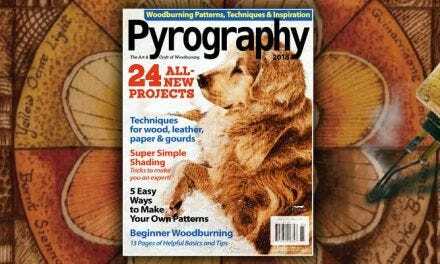 If you work with a wood burning pen or just a paint brush – with a love of nature and animals, this collection will inspire you to create vibrant and attractive images. 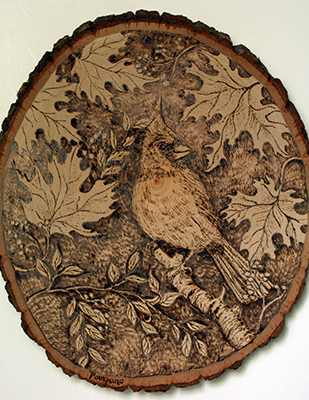 Deborah Pompano brings a lifetime of experience to her exquisite wood burning designs. Majestic Animals Collection offers eight of Deborah’s large ready-to-use designs, presented in both line and color tonal patterns. Inspired by our planet’s amazing biodiversity, these dynamic wood branding artworks invite you to hang with a giraffe in the African savannah, explore tropical rainforests with a family of tree frogs, meet a koala in the branches of a eucalyptus tree, and more.